Tractis ceased operations on the 30th of April 2018. It has been an honor and a pleasure to serve you over the past 13 years. We sincerely hope that our electronic certification services have helped you to grow your business. Tractis will cease to provide electronic certification services on April 30th, 2018. It has not been easy to make this decision. However, given the current market status, we believe is the right decision. Although we offer multiple methods of identity verification and electronic signatures, our focus and passion has always been on those methods that offer the highest level of guarantee and security. That is, the e-ID’s issued by governments. In Spain, our main market, this option was and still is the DNIe, the national electronic ID card. Lack of readers: We carried out the first campaign for mass distribution of readers for DNIe ever in Spain (2009). Lack of usability: We developed the first solution that allowed the use of DNIe without having to install drivers (2010). Lack of success stories: We achieved the first cases of use of the DNIe in a multitude of verticals. Among others; the opening of bank accounts (2008), the on-line signature of Popular Legislative Initiatives (2011), the online endorsements for aspiring candidates in political parties elections (2011), identity verification in telecommunications (2012) or consumer financing (2014). We offered free services for political intiatives (2011) and startups (2012) to foster new and innovative DNIe use cases. Competition by the FNMT: We repeatedly denounced the harmful effect the FNMT (the Spanish Mint) actions had on the DNIe adoption by the private sector. Not the least, the preferential treatment given by the Spanish Public Administration to the FNMT certificates (2011) and the FNMT pricing policies (2014). We offered free validation of FNMT certificates as soon as it was possible (2016). The sluggishness of the public administration in responding to the demands of the market in regard to the DNIe have contributed to a very large extent to the failure of the DNIe in the private sector. As an example, it took 4 years to publish the DNIe Manual for APDU commands, 10 years to extend the life of the DNIe certificates, 11 years to eliminate the FNMT harmful price system (paid validation in the private sector) and only when the European Union has forced the FNMT to do so … The private sector requires agility, responses in days, weeks or even months. Never years. Never decades. Regrettably, the latest news signal that the use of the DNIe in the private sector in Spain will not only not improve, but will get rather worse. On the one hand, the harsh incorporation of the EU eIDAS Directive into the Spanish national legislation (compare the financial requirements needed to become a Qualified Provider of Electronic Trust Services in Spain VS. Estonia, the leading country in the use of e-IDs). On the other hand, the vulnerability recently discovered in the DNIe that forces the deactivation and re-issue of virtually all DNIe’s issued to date, a process that will take years. We remain convinced of the enormous potential of e-IDs for secure e-commerce. Simply, and as much as it hurts, we have had to come to the conclusion that Spain is not just the place to try to realize this potential. It is not easy for us to take this step, but we believe it is the right thing to do. After 13 years of struggle, the time has come to throw in the towel. Sad and exhausted, yes, but also proud of the work done and extremely grateful to all the customers, suppliers and investors who have trusted us. Related: Tractis ceases operations: Next steps & Important dates. Readers can use screen names but they know that they have given their details to us – that’s a real incentive to act in a reasonable way. - John Witherow, Editor at The Times newspaper. As of July 1st, 2016 Tractis offers free validation of FNMT certificates. In other words, from now on, you can use the certificates of the Fábrica Nacional de Moneda y Timbre (FNMT, Spain’s National Mint) in Tractis without having to pay an extra cost for each validation. With the coming into force of the eIDAS European Regulation, the FNMT is obliged to provide free validation of their certificates to the private sector. At Tractis we have decided to pass on these savings to our customers immediately. This change in pricing policy by the FNMT is an announcement of great significance in the history and evolution of electronic certification sector in Spain. Those who know and follow us know that at Tractis we have been critical and belligerent with the FNMT marketing and pricing policy, as we thought it to be an aberration in the world of electronic certification. Tractis supports 33 Certification Authorities in 14 countries. All charge for issuing certificates but not for their use (validation). The FNMT was the only exception, doing just the opposite: issuing free certificates and, then, charging for their use by the private sector. In our view, together with the difficulty in the use of the National Electronic ID (DNIe) and an accompanying lack of smart card readers, the mere existence of the FNMT and its pricing policies have been one of the main obstacles to the widespread adoption and use of electronic certification by the private sector in Spain. In theory, Spain was excellently positioned to become one of the leading countries in the use electronic certificates. It had a large number of certification authorities, experts, projects and, ultimately, abundant know-how. 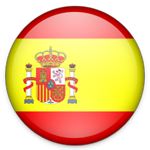 Moreover, Spain was one of the first countries to issue an electronic ID on a massive scale among the general population: The National Electronic ID card (DNIe) issued by the Ministry of the Interior. In practice, the FNMT, a public company under the Ministry of Finance and Public Administration, offered a competitor to DNIe, which was easier to use, as its software certificates did not require the use of a smart card reader. In practice, given the difficult use of the DNIe and a paucity of readers, and given that the FNMT gave free validation of their certificates for the public sector, the Government went on extending the use of FNMT certificates beyond any advisable measure. FNMT certificates began to be used in situations outside the scope of the Treasury and in cases that should have been reserved for the DNIe (qualified signature). In practice both products competed for the same market. Notwithstanding this, neither DNIe nor FNMT certificates achieved success in the use of electronic certification by the private sector. End users, unaware of the FNMT pricing policies, preferred FNMT certificates to DNIe in their dealings with public bodies, as they were less cumbersome (no reader required). From a users’ point of view, both could be used for virtually the same administrative procedures (widespread use of FNMT certificates for interactions with the Public Administration). The private sector did neither go for the one -difficult to use DNIe- or the other -costly use of FNMT-. Between theory and practice, time passed away. Today, 10 years after the introduction of the DNIe and of FNMT pricing policy, and more than 50 million DNIe cards issued, use of the DNIe in the private sector is insignificant and that of FNMT certificates, very small. DNIe awkward use, the lack of card readers and the FNMT pricing policy created a perfect storm whose result is truly a “lost decade” for the adoption of electronic certification by the private sector in Spain. A gleam of hope or a train already gone? The change in the FNMT pricing policy could be a second wind for FNMT certificates in the private sector and, perhaps, the final blow to the DNIe in this market. And this despite of the fact that the FNMT itself only made the change at the last moment and when forced to do so by a European Directive. In a situation where FNMT certificates are used in practice outside of both the proper realm of the Treasury and that of advanced signatures, the free validation of FNMT certificates for the private sector reinforces the value proposition of the FNMT product, to the greater detriment of the DNIe. It is also possible that this change comes too late. After 10 years, electronic certificates may have lost their chance for widespread use as a method of authentication and signing in the private sector in Spain in favor of alternative methods. Throughout the summer we plan to make several launches aimed at large companies. We start with consolidated multi-account billing, a new feature that lets you redirect spending from several Tractis accounts to just one. Here’s an example. Suppose you work in a large company and want to use some Tractis electronic certification services (identity verifications, electronic signatures, time stamping, preservation of evidences, etc.) at different departments, divisions, products or companies in the group. On one hand, you want to group all spending on a single bill and, on the other hand, you want to maintain separate individual account management so that each account continues having its own configuration, administrators, users, gateway management and logo and colors customizations. The consolidated multi-account billing allows you to achieve exactly that. Simpler: A single bill for multiple accounts. Better prices: By combining the spending from several accounts into one, you can achieve higher transaction volume discounts. Increased customization: Each account is still run independently (configuration, users, customization, etc.). Greater control: Only the Master Account Administrators have access to transaction and spending reporting from Slave accounts. We believe that this new feature will prove extremely useful for large companies, central purchasing departments and software subsidiaries that provide services to multiple divisions, departments, products and companies in the group. Consolidated multi-account billing is available only to Tractis clients under a monthly Enterprise subscription plan.